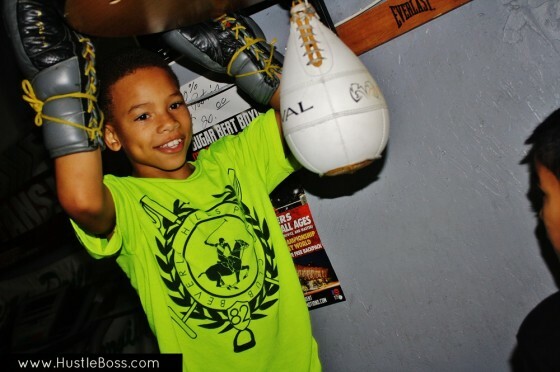 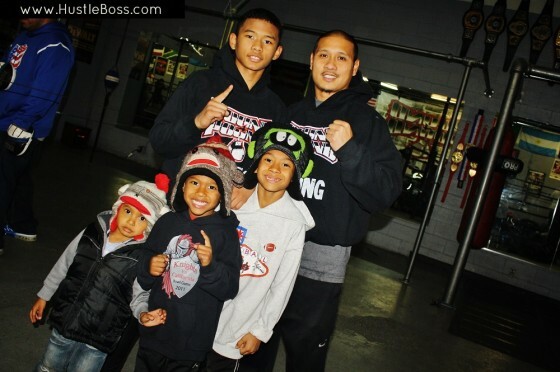 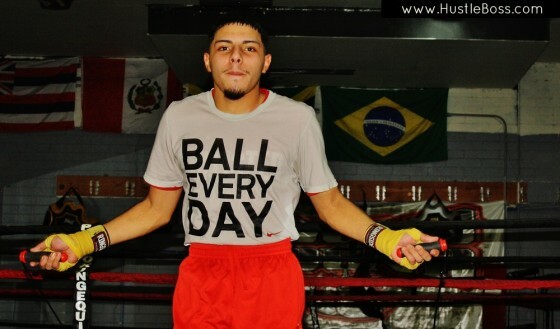 The Barrientes family has always ran a good ship with their Pound 4 Pound Boxing facility out here in Las Vegas. 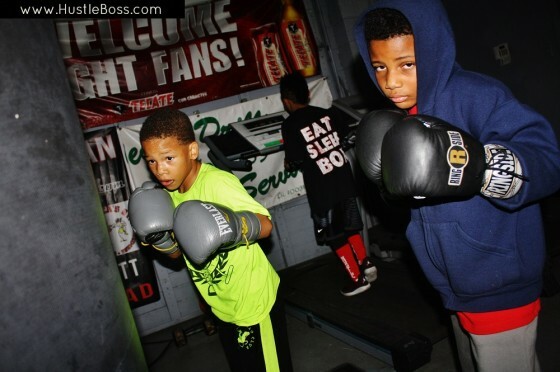 While not as high-profile as some gyms in the area, Pound 4 Pound is still always busy year round while playing host to some top-notch amateur and professional talent in the city. 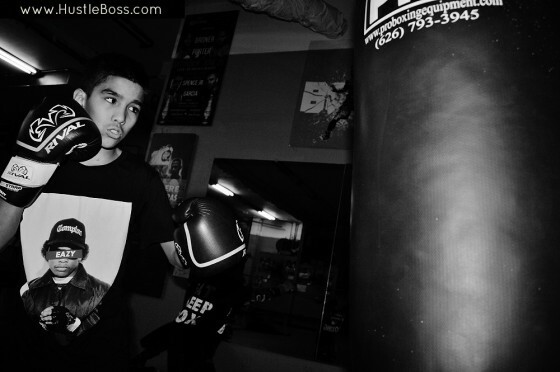 Hustle Boss swung back through the gym this past week during the evening and there were plenty of familiar faces around. 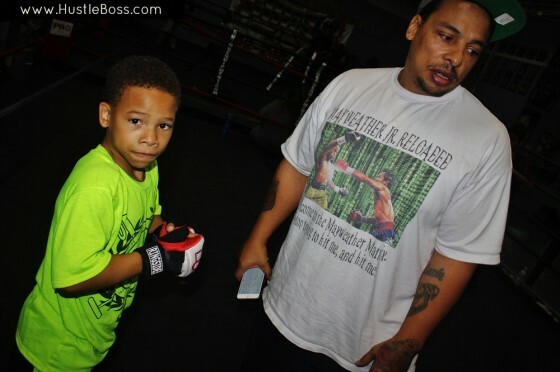 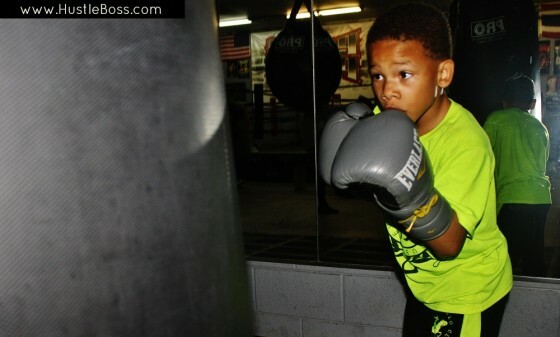 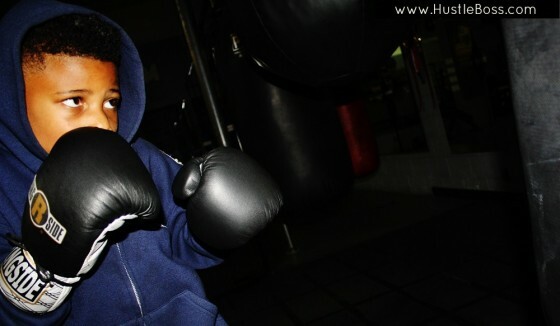 8-year old Curmel Moton, below left, has been on a nice winning streak with his new trainer Floyd Mayweather Sr. and he stays sharp throughout the year. 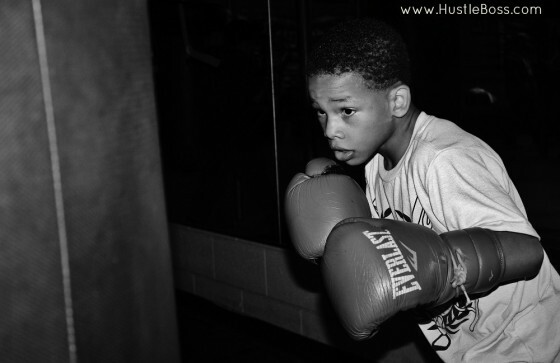 8-year old Famous Johnson was especially determined on this day, working on his craft in great detail. 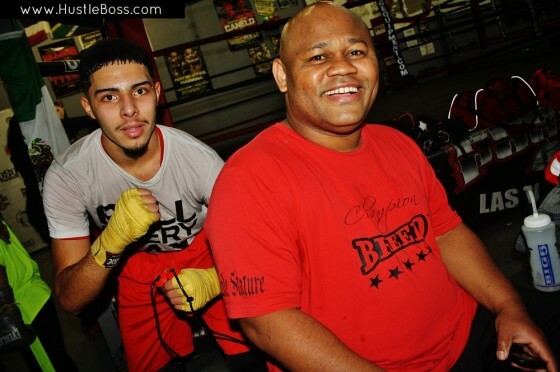 Young amateur prospect Jose Guerra, pictured here with former WBA junior welterweight champ and trainer Morris East, continues to improve. 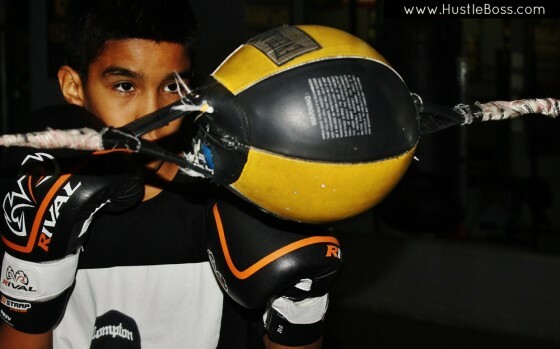 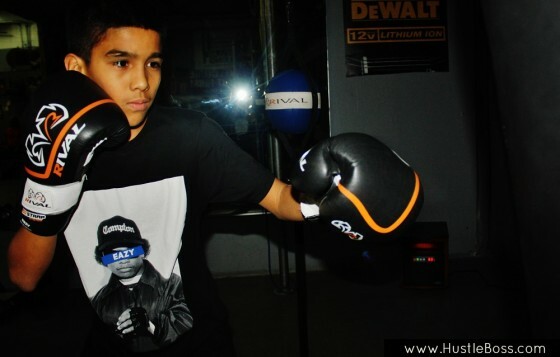 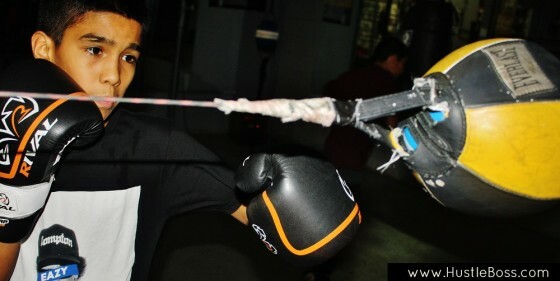 13-year old Chavez Barrientes hitting the heavy bag. 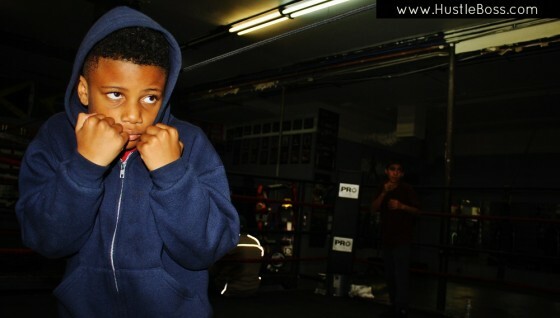 Chavez is like a silent assassin, very often quiet but still very skilled. 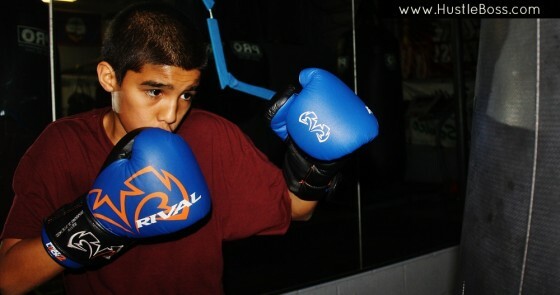 Chavez’ twin brother Angel, seen below, hasn’t lost an amateur bout in the past four years. 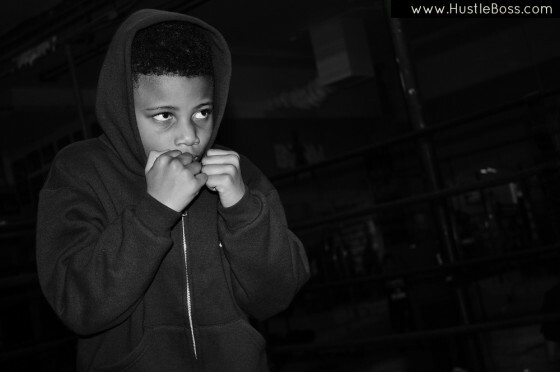 Check below for more pics from Pound 4 Pound and please give them a follow on Instagram.